Robert A. Thurn, age 89, died on Wednesday, February 5, 2014 at Mother Angeline McCrory Manor and is now at peace. Born on May 31, 1924 to the late Alois and Bernadine Eckstein Thurn. Also was preceded in death by an infant daughter. He graduated from Aquinas College High School in 1942. A retired meat processor and partner of A. Thurn Sons Meats, he continued to work for his son at Thurn Specialty Meats until age 87. Proudly, he served in WWII as an Army cook, where he learned to bake with spontaneity. Robert loved words, literature, poetry and Columbus’ history. Member of St. Xavier Society, American Legion Southway Post 144, and Blazed Trail Club. A longtime parishioner of St. Catharine of Sienna Catholic Church and former member of several area choirs. He leaves behind his loving wife of 62 years, Mary Wachinger Thurn, children, Teresa Thurn, Albert Thurn, Bernadine (Jerome Substanley) Thurn, Cecilia (John) Canestraro, Laura (Mark Thomas) Thurn, Rachel (Virgil) Comer, Anton (Sue) Thurn, several grandchildren, nieces and nephews. He is also survived by brothers and sisters, Paul (Patty) Thurn, Margaret (Frank) Mathews, Leo (Betty) Thurn and Sister Carolyn Thurn, O.P. Sincere gratitude goes to all the staff at Mother Angeline’s, particularly those on Four East, who provided exceptional care and kindness to both Robert and the family. His humble spirit, keen sense of humor and wry smile will be missed by all of his family and friends. 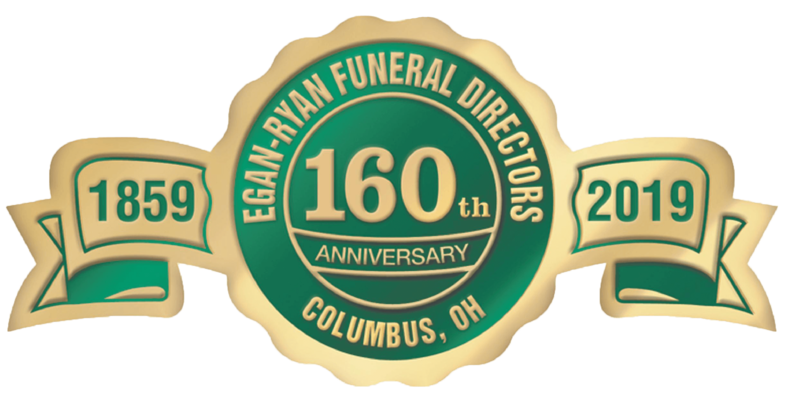 Friends may call Sunday 2-4 & 6-8 p.m. at EGAN-RYAN FUNERAL HOME, 403 E. BROAD ST where a Prayer Service will begin at 3:45 p.m. Mass of Christian Burial will be Monday 10:30 a.m. at St. Catharine Church, 500 S. Gould Rd. Burial St. Joseph Cemetery. In lieu of flowers, donations may be made in his memory to the St. Catharine - St. Vincent DePaul Society 500 S. Gould Road, Columbus, OH 43209 or to Mother Angeline McCrory Manor at 5199 East Broad St., Columbus, OH 43213.